SnapRapid founder and CEO Russell Glenister recently sat down with Sports Media and Finance to discuss the black-hole in analysis of digital media coverage and its impact on sports and media business models. The following interview first appeared in the online magazine on April 14. The original article can be read on Sports Media and Finance’s website. When the man responsible for running the business-end of the world’s most commercially successful football club tells the world that the future of his business lies in monetising digital content and connectivity it’s time for the world to sit up and listen. Jose Angle Sanchez understands the business of football as well as anyone on the planet and believes that exploiting digital potential will positively disrupt a business model based on tickets, sponsorship and TV revenues which has changed only incrementally over the last three decades or more. Through the partnership he has formed with Microsoft, Jose Angel Sanchez has developed a very clear idea of what the digital roadmap looks like for Real Madrid and he aims to create ‘a Bernabeau without limits’ to embrace a massive global fan base and make it part of the club 24’/7, 365 days a year. But while the impact of digital has become the topic of conversation wherever two or more sports and media executives meet nowadays, few have such a well-honed and crystallised view of exactly how to harvest the potential. And that, according to UK-based visual content technology entrepreneur Russell Glenister, is largely because there’s a black-hole sized gap in the ability to track, monitor, analyse and attach credible, real-world values to the coverage of sports and brands online and on social media platforms. While monitoring of broadcast media has been refined and, to an extent, perfected over the last half century, sport’s digital dimension presents a different and altogether more complex set of challenges to those who invest heavily in their association with sport as well as those selling that association. “It’s important because there is currently a massive amount of digital coverage out there which is simply unquantified and unvalued. Consumers are cutting the chord to TV and that has huge implications for the sports world. They are watching sport in new ways in new environments and that environment is outside the scope and capabilities of tracking, measurement and valuation techniques and technologies created for the television age,” Glenister said. Snap Rapid’s core sponsor monitoring services, he says, are tools for sponsors and rights owner alike and could ultimately come to have an impact on broadcast rights distribution strategies. Fundamentally the offer is straightforward. SnapRapid analyses the presence of brands not on TV broadcasts or on printed media but on websites and social media platforms and produces reports which put a value against exposure. It is an immense task which is achieved using sophisticated software to locate coverage, identify sponsor branding, validate exposure and engagement and attach a consistent and comparable financial value. This has a clear impact on the relationship between sponsor brands and rights owners who, for the first time, have the ability to see how much their properties are really worth and, consequently, whether they are charging enough. For brands themselves the reports are not simply about value but about strategy development. Once you know how much coverage you are receiving, where it is occurring, who the key influencers are and how much it is worth, it is suddenly possible to develop meaningful and effective strategies to maximise that value. But it goes further than that. “Being able to quantify the extent and value of digital exposure is important to those rights owners, such as UEFA, who are faced with a dilemma over selling rights to Pay Broadcasters because of concerns that the value of their sponsorship will be diminished by TV lower audiences,” Glenister explained. 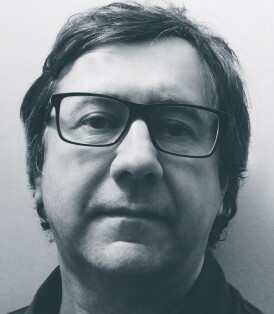 For Glenister, who has worked in visual content sector for 25 years and sold one of his previous start-ups to Corbis, owned by Bill Gates, SnapRapid combines four of his great loves – sport, visual content, technology and business. As a kid growing up in London he played football at every conceivable opportunity, turning out for four different teams in up to five games a week. In the summer his focus turned to the track where he was ‘a decent hurdler’ and shared a coach with 1980 Olympic Bronze medallist Garv Oakes. In business he has demonstrated classical entrepreneurial traits to challenge the accepted wisdom of the stock photography market and pioneer a powerfully profitable alternative to the rights-managed model operated by his former employers Tony Stone Images, now party of the giant Getty Empire. “I worked very closely with Tony Stone and although we clashed much of the time I certainly learned a lot,” he said. Among the things he learned was the there was money to be made in wholly owned images rather than simply licensing content and his next step was setting up a production company to create images to be made available royalty free, a move which succeeded in helping kick the industry into a new way of thinking. “Royalty free became the de fact model for the industry,” says Glenister whose company became the first to own all its content and develop sales channels to traditional rights managed stock agencies and was ultimately sold to Corbis. Glenister also made the move but, like others before him, he found the frustrations of working under new management on behalf of an organisation he had created, became untenable, leaving him with a big question – what to do next? “I was still fascinated by the stock images sector and founded Room the Agency, which provided an outlet for crowd-sourced mobile phone producers,” he explained. That inquisitiveness led to a collaboration with Aurora, a facial recognition technology company which became a partner in the first iteration of SnapRapid. Ultimately that collaboration delivered less than it had promised but in 2014 opportunity came knocking when Glenister was approach to work on a project to identify the Nike Swoosh logo appearing in social media. “I looked at what was on the market and ultimately decided to build the solution myself,” he said. The result was the inception of the SnapRapid service developed by a team of data scientists and computer engineers and applying deep learning techniques to create a system capable of recognising logos, individuals and other objects across digital real estate. “We started working on Twitter, Instagram and then Flickr, tracking images only, and then added video tracking and many other platforms including Facebook, You Tube Weibo,” he said. “What we are delivering is real life data and valuation which, in the long term, will help sponsors and rights holders develop strategies to advance their coverage. “From the sponsor side the big issue is to be able to compare multiple sponsorship deals’ visual exposure value and put a put a financial figure on coverage in away allows them to get more out of their investment in sport and which brings sponsors and rights holders closer together. In tandem with refining SnapRapid’s sponsor tracking offer, Glenister has been turning his attention to other ways of helping brands plot their way through the changing media environment. This month ( April) the company launched Live2Digital which enables rights owners to deliver video highlight clips to social media platforms in real time, track the presence and prominence of sponsors on those clips and attach a value to them. “It is a service which put rights owners in control of their content. They watch what is happening as part of a live broadcast and when something exciting takes place, such as Ernie Els six putting from two feet at the Masters, they quickly edit a short form video and get it to their digital global audience in seconds and enables them to be properly valued and monetised,” said Glenister. “The fact is that right now there is a huge amount of opportunities and money being left on the table because sports properties are delivering significant amounts of value which they are not able to monetise simply because they don’t get it out there or know how much there is or what it is worth. With AI it pays to compare Apples with Oranges. Social media sponsor partner valuation benchmarking is now free, is it worth it? Give sponsors the right impression, ignore impression value. Sports rights holders are applying old TV valuation models to social media, should they?